Last week, the 2D course started here at Campus Gotland - oh the joy! We started off by spending a couple of days life drawing, and reading about how to catch the "essence of a pose". I've been doing some life drawing before I started here, but this is the first time I understood that the most important thing is not to "copy" the model in front of you, but to draw the feeling, the esesnce, of the pose. 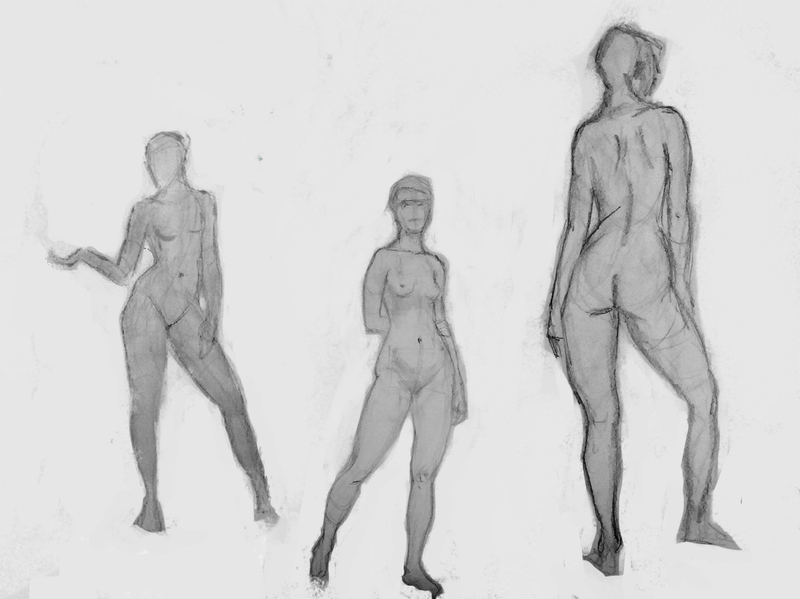 Starting by quickly drawing the flow and the dynamic in the pose, and then going about adding volume to it, I think my drawings ended up better than before! .